The opportunity presented by China's booming economic growth can be both attractive and overwhelming to businesses entering the region. Many firms want an experienced ally to help them develop and deploy a plan for success in China. For many North and South American Multinational Enterprises, that ally is China Telecom Americas. 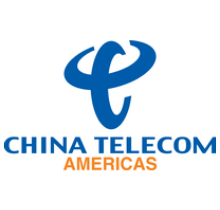 China Telecom Americas, the largest international subsidiary of China Telecom Corporation Limited, has built, continues to expand, and operates the most technologically advanced suite of telecommunication services in support of MNC's mission critical operations in 110 countries. The company supplies some of the world's largest and most demanding corporations with the most technologically advanced suite of global communications services from custom network architectures, cloud and data center services to equipment management, security, content delivery, mobility solutions, leveraging the multi-billion dollar network investment in ChinaNet, CN2 and CT’s global transport network. China Telecom Americas' team has customized solutions for companies in numerous industries, including hospitality, content and media, manufacturing, telecommunications, global consulting and software development. The company's clients overwhelmingly give China Telecom Americas high marks for ease of doing business, service quality, overall value and skill at managing vital information services in very complex environments. China Telecom Americas offers the security of single source shopping for its clients, managing all of the network planning, implementation and operational support in the Americas, China and the rest of CT's global network coverage area, including the rest of Asia, Western and Eastern Europe. China Telecom Americas offers the strongest Service Level Agreements (SLAs) for network performance and implementation of any carrier serving China. In fact, the company's dedicated program management office has delivered on-time installations 99% of the time. 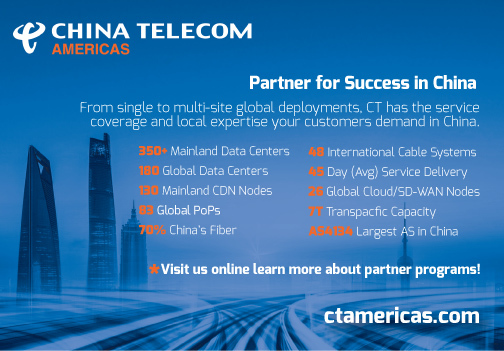 China Telecom Americas offers local sales and support, U.S.-based contracts, a set of standardized implementation, troubleshooting methodologies, flexible billing options, a 24 x 7 bi-lingual customer service center and a win-win approach to business relationships. 12	jplist-folder-All-Posts-292 Data-Sheet-Data-Sheet	jplist-topic-cloud jplist-topic-Cloud-Compute jplist-topic-cloud-infrastructure jplist-topic-Cloud-Server jplist-topic-Cloud-Storage jplist-topic-Iaas jplist-topic-vmware	0	07/05/2018 16:13:57	Your global businesses has to be more agile than ever to keep people, data, applications and other IT resources connected and working in the smartest ways possible. Your communications infrastructures must serve the new reality; that your business users and IT teams are directly involved in activities that create a tremendous need for connectivity, compute resource and storage – everywhere. Whether looking for simple access to shared/dedicated virtual resources or in need of end-to-end managed services that include ecosystem planning, automation and orchestration services, China Telecom Americas offers a complete range of IaaS solutions to help global enterprise confidently and cost-effectively connect and scale their business in China. 13	jplist-folder-All-Posts-292 Case-Study-Case-Study	jplist-topic-global jplist-topic-infrastructure jplist-topic-Managed-MPLS jplist-topic-solution jplist-topic-Umbra	0	06/18/2018 11:12:24	Umbra is one of the world's most innovative housewares product design companies. A global company based in Toronto, Canada, Umbra brings intelligent design to everyday items. Umbra invested in a centralized MPLS network for all of its major computing functions across the globe, but experienced a multitude of issues. Unlike the North America-based service providers, China Telecom is the world’s largest — and fastest — fixed line and broadband network operator. We deliver superior results by investing more than any other provider in terrestrial and cable infrastructure, including cloud, terrestrial and submarine cables. In 2012, Umbra moved its network to China Telecom Americas, who was able to deliver an end-to-end, managed MPLS solution and a Service Level Agreement that guaranteed up-time of 99.9 percent. Consistent, fast and centralized service and reliable connections across continents have been critical to Umbra’s success. Its partnership with China Telecom Americas enables performance that allows the company to focus on continuous improvement and innovation as they develop next generation products for their customersthroughout the world. Take a look at China Telecom's extensive global infrastructure network. 14	jplist-folder-All-Posts-292 Data-Sheet-Data-Sheet	jplist-topic-Backbone jplist-topic-Cable-System jplist-topic-global jplist-topic-infrastructure jplist-topic-network jplist-topic-Pops	0	06/18/2018 10:58:54	Take a look at China Telecom's extensive global infrastructure network. Take a look at these 10 things you need to know about cloud in China. 15	jplist-folder-All-Posts-292 Data-Sheet-Data-Sheet	jplist-topic-China jplist-topic-cloud jplist-topic-global jplist-topic-hybrid-cloud jplist-topic-Iaas jplist-topic-private-cloud jplist-topic-SD-WAN	0	06/18/2018 10:14:56	Take a look at these 10 things you need to know about cloud in China. 16	jplist-folder-All-Posts-292 Case-Study-Case-Study	jplist-topic-Case-Study jplist-topic-connectivity jplist-topic-Douglas-Dynamics jplist-topic-global jplist-topic-Global-Internet jplist-topic-international jplist-topic-mpls jplist-topic-Pops jplist-topic-Private-Data-Network	0	06/07/2018 15:58:54	Douglas Dynamics, headquartered in Milwaukee, is North America's premier manufacturer and know for its innovative high-quality products that help its customers in North America, Europe, and China increase efficiency, productivity and profitability. For several years, the company struggled with inconsistent and often unreliable Internet connections in China, experiencing high levels of latency and packet loss. China Telecom America’s vast network of Points-of-Presence (PoPs) within the United States and throughout China made it possible to efficiently use a private MPLS data network that can reliably connect Douglas Dynamics’ Beijing location with its headquarters in Milwaukee. Consistent levels of service and reliable connections across continents have been critical to Douglas Dynamics’ success. Their partnership with China Telecom Americas enables performance that allows the company to focus on continuous improvement and innovation. 17	jplist-folder-All-Posts-292 Data-Sheet-Data-Sheet	jplist-topic-China jplist-topic-global jplist-topic-IPLC jplist-topic-Private-Circuit	0	06/05/2018 12:44:12	In today's fast-paced digital world, high bandwidth is a necessity. China Telecom Americas' International Private Leased Circuit (IPLC) remains the leading choice among global enterprises requiring international private line services between the Americas and China. 18	jplist-folder-All-Posts-292 Data-Sheet-Data-Sheet	jplist-topic-Bare-Metal jplist-topic-cisco jplist-topic-CPE jplist-topic-data-centers jplist-topic-DCIM jplist-topic-Juniper jplist-topic-Managed-CPE jplist-topic-Managed-Equipment jplist-topic-managed-firewall jplist-topic-Managed-Router jplist-topic-managed-security jplist-topic-mobility jplist-topic-NetCare jplist-topic-security jplist-topic-Ucaas jplist-topic-unified-communications	0	06/04/2018 12:17:37	With the help of our global partners, China Telecom builds and manages service platforms and delivers cost-effective, professionally managed ICT services to customers in key metro areas across 72 countries worldwide. Customers have successfully leveraged China Telecom Americas as a one-stop-shop, network and managed services provider to free up internal resources so that IT staff can devote skills and attention toward high priority, high value-added IT operations. 19	jplist-folder-All-Posts-292 Data-Sheet-Data-Sheet	jplist-topic-AWS jplist-topic-China jplist-topic-cloud jplist-topic-cloud-network jplist-topic-global jplist-topic-private-connection	0	06/01/2018 13:48:53	Today's highly-distributed global enterprise rely on the agility AWS brings to their business on a global scale. Having a dependable network service provider that integrate with AWS is critical, which is why leaders of the Global 2000 choose China Telecom for high quality, private connections to AWS. 20	jplist-folder-All-Posts-292 Data-Sheet-Data-Sheet	jplist-topic-China jplist-topic-ChinaNet jplist-topic-cloud jplist-topic-communications jplist-topic-connectivity jplist-topic-global	0	06/01/2018 13:36:14	China Telecom offers an impressive global presence with reliable, ultra-low latency network solutions. Read more on how China Telecom is transforming global communications. 21	jplist-folder-All-Posts-292 Data-Sheet-Data-Sheet	jplist-topic-China jplist-topic-connectivity jplist-topic-global jplist-topic-iot	0	06/01/2018 13:19:37	As part of its push towards expanding its IT cloud services, China plans to become a major player within the Internet of Things market. Check out this infographic for fascinating insights into the ongoing development of the IoT in China. 22	jplist-folder-All-Posts-292 Data-Sheet-Data-Sheet	jplist-topic-cloud jplist-topic-data-center jplist-topic-global jplist-topic-Infographic jplist-topic-internet jplist-topic-managed-services jplist-topic-network jplist-topic-voice	0	05/30/2018 12:02:15	With headquarters in Herndon, VA and offices across the USA, Canada, and Latin America, China Telecom Americas continues to expand our global reach to serve a growing customer base with a turnkey suite of advanced network solutions powered by China Telecom's extensive investments in next-generation infrastructure. 23	jplist-folder-All-Posts-292 Data-Sheet-Data-Sheet	jplist-topic-EPL jplist-topic-ethernet jplist-topic-Ethernet-Private-Line jplist-topic-global jplist-topic-IEPL jplist-topic-International-Private-Line jplist-topic-P2P jplist-topic-private-line jplist-topic-VPL	0	05/21/2018 16:44:45	China Telecom Americas offers a suite of fully-managed Ethernet-based network services that is developed specifically to address the rapidly evolving network performance requirements of both carrier and enterprise customers. Backed by China Telecom’s high-performance and wide-coverage transmission network, China Telecom’s International Ethernet Private Line (IEPL) service adopts the Ethernet-over-SDH technologies to enable point-to-point or point-to-multipoint communications by providing customers with long-distance/cross-border IEPL services with access rates ranging from 2M to 1,000M. In addition, our IEPL services are MEF9 and MEF14-certified based on the network resources of China Telecom and our network of global partners. 24	jplist-folder-All-Posts-292 Data-Sheet-Data-Sheet	jplist-topic-colocation jplist-topic-data-center jplist-topic-hosting jplist-topic-IDC jplist-topic-internet	0	05/21/2018 16:23:58	China Telecom has an extensive global data center presence with more than 300 IDCs located in prime areas in Mainland China and in key overseas markets. Our network includes 20 Tier-IV and more than 90 Tier-III IDCs connected to a reliable and wide range of global private and public data circuits. With comprehensive security measures and one-stop enterprise grade service platform supported by a dedicated service team, customers enjoy secure and scalable data storage solutions. 25	jplist-folder-All-Posts-292 Data-Sheet-Data-Sheet	jplist-topic-dia jplist-topic-global jplist-topic-internet jplist-topic-MPLS-VPN	0	05/17/2018 17:28:07	China Telecom's MPLS VPN services are the ultimate cost-effective solutions for business communication needs, offering the security, reliability, capacity and coverage you need. Running on China Telecom's next generation CN2 IPv6-capable backbone network, our MPLS-optimized architecture is built to meet the demands of globally distributed, Internet-based, mission-critical application. 26	jplist-folder-All-Posts-292 Data-Sheet-Data-Sheet	jplist-topic-dia jplist-topic-internet jplist-topic-IP-Access	0	05/15/2018 14:03:32	Global Internet Access offers enterprises access to China Telecom ChinaNet, CN2 through BGP-4 or static routing with a variety of access speeds and Internet access technologies. In addition, China Telecom offers tailored information, connection and transmission, business application support and other services.